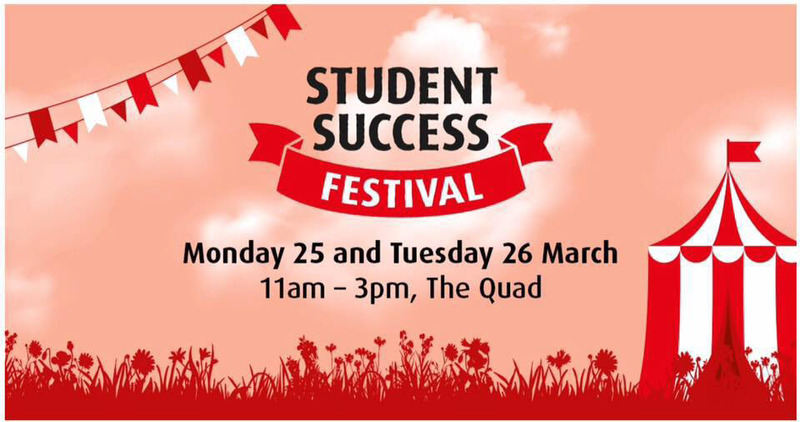 The Student Success Festival will take place in the Quad from 11am to 3pm on Monday 25th March and Tuesday 26th March 2019. On Tuesday 26th March from 12-3pm, practise your speaking skills at the Speed Meet: 5 minute conversations with a whole range of staff and students. Find out about cycling, lifelong learning, tap dancing and how to make the most of your time at university plus much more…..